Food Cardiff has been featured in the winter SHED Newsletter. 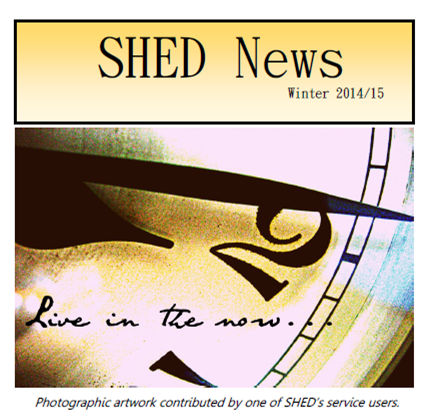 The SHED newsletter is a great resource for individuals experiencing an eating disorder, and their families or carers. In this quarterly issue you’ll find updates on the Eating Disorders Cross-Party Group in Welsh Government, anxiety management apps, student outreach and the opening of a SHED craft library. Food Cardiff is featured too, with a introduction to our work around healthy, affordable, and accessible food. The Service for High-risk Eating Disorders (SHED) is a specialist service for adults who are experiencing an eating disorder, covering Cardiff, the Vale, and Cym Taf. SHED offers information and support through psychological therapy, nutritional advice, occupational therapy and contemplation work, and are on hand to support families and carers to. For more information, call the SHED team on 02920 336.